The Vancouver-based author's novel will be defended by Lisa Ray during the debates, which take place March 25-28. David Chariandy is an award-winning Vancouver-based author. His latest novel, Brother, is the story of two brothers growing up in a troubled housing complex in the Toronto suburb of Scarborough. Brother won the 2017 Rogers Writers' Trust Fiction Prize and the 2018 Toronto Book Award. Now it's a contender for Canada Reads 2019, where it will be defended by Lisa Ray. The debates take place March 25-28, 2019. 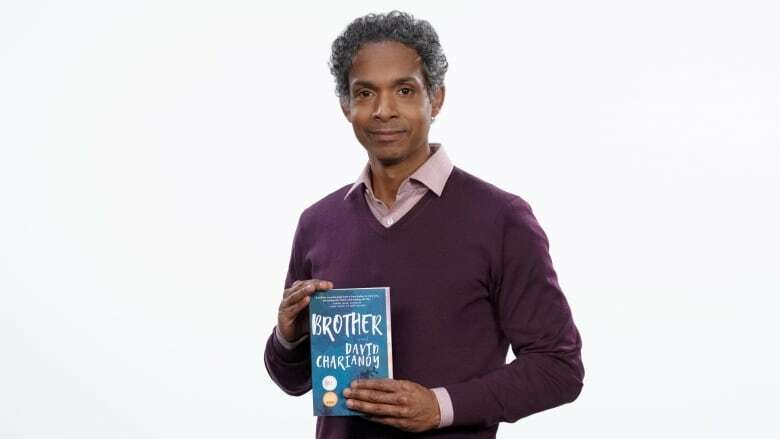 Chariandy spoke with CBC Whitehorse's Dave White about what it means to have Brother on Canada Reads. "Brother is about how a family and a community recover after a loss — and the types of old connections and new connections they are forging in order to overcome a really catastrophic event." "I didn't expect my book necessarily to reach a really broad audience. So this is this is a surprise and an honour. When I wrote the book, I was thinking [about] particular readers. I didn't yet know if the book would touch others more broadly. Now there's maybe some indication that it has — and that's really special." "I grew up in Scarborough at a time when Scarborough didn't have such a great reputation. It was a suburb which was home to a lot of amazing, heroic working class people, immigrants and racial and ethnic minorities. And I think because of all of that, sadly, Scarborough had a negative reputation for poverty, crime, violence and sometimes newspaper headlines seemed to exasperate that reputation. I wanted to tell the story of the Scarborough that I knew — a story of great beauty and heroism and the tenderness between people that might to others seem like scary people. They're not. They're actually really incredibly beautiful people." Should he tune into Canada Reads? "Lisa Ray is so energetic and she's so passionate about the book. I feel like Brother is in really, really good hands with her. I'm just going to sit back and let her do her thing. "It's hard to know what to do. I think curiosity will get the better of me and I will tune in. But maybe it's good for a writer or an artist in general — and I'm still working out what that means — to focus on creating the work and let others discuss it and try not to get involved too much in that. It's been behind me now for a couple of years, when you think of the time not simply when it was published but when I finished writing it. Coming back to it there's been enough time for me to now see it as something apart from me and that's an interesting thing too." "I think the particular way that Brother might be moving is trying to portray that type of tenderness among young men who have started to adopt postures of toughness because they imagine — more than imagine, they know — that the world is being tough to them. They respond by adopting these postures of toughness toward the world itself. But amongst themselves, they are loving, they're tender and sometimes that love and tenderness has to be covert. But it's there. Seeing that represented and reading it like that maybe moving." David Chariandy's comments have been edited for length and clarity.